It’s the beginning of a new month. Perfect time to finally get started on that thing. You know what I mean – we all have a thing. It’s that project or task we’ve been putting off and telling ourselves we’re too busy to start; we’re waiting to think about it more because we’re just not sure we’ve figured it all out yet, but at the same time it’s starting to bother us that we haven’t gotten started on it yet because it’s important or timely or we just need to get it out of the way. That thing that’s distracting us, a bit of psychic grit in our cognitive gears. You know what your thing is. You’re reading mine right now. Trying to develop a new habit for writing and developing posts for this blog is the biggest new personal thing I’ve taken on in years. It was relatively easy to start this blog, and I’m confident about my goals for this space, but I haven’t yet built the creative habits and routines to support those goals. Getting started on anything that adds to or changes our existing routines is often the hardest part of making something new. So I’m relying on an old trick to help get me started on creative work: the calendar cycle. Whenever possible, I use the tactic I call Starting at One, which just means waiting until the first day of any month to begin working on a new creative project or milestone. Day One on the calendar becomes Day One of my work, and I can easily align my goals on the days that follow in that month so that by the time that month ends I already have a sense of what I’ll be starting on the next Day One. The best part about this is how easy it is to do, largely because it’s something our brains naturally understand. There’s no math involved, and every calendar is a ready-made chart of our potential progress through time. Each week is a cycle, followed by each month, and each year. Maybe if you deal with a budget you’ll also mark quarters of a year, others may see seasons, but for most the pages of a calendar are the best units we have for measuring the beginnings and endings of large chunks of time greater than the daily rotation of the planet. Of course now there are probably some of you saying, “But Dave, if you’re all about starting on the 1st of the month, why did you publish this post on the 4th?” Simple: I started writing the post on the 1st, a little bit each morning, and it wasn’t ready until the 4th. Because what I’m really Starting at One this month is the writing habit, trying to rebuild a morning writing routine that I lost long ago. It’s slow progress, but it is progress and I am eager to make it grow. So if you’re in a creative rut, if there’s something you need to work on but just can’t find the time, tell yourself you’ll be Starting at One, and then let yourself off the hook until that next month comes around. When it does, all you need to do is sit down to that thing and go for it. 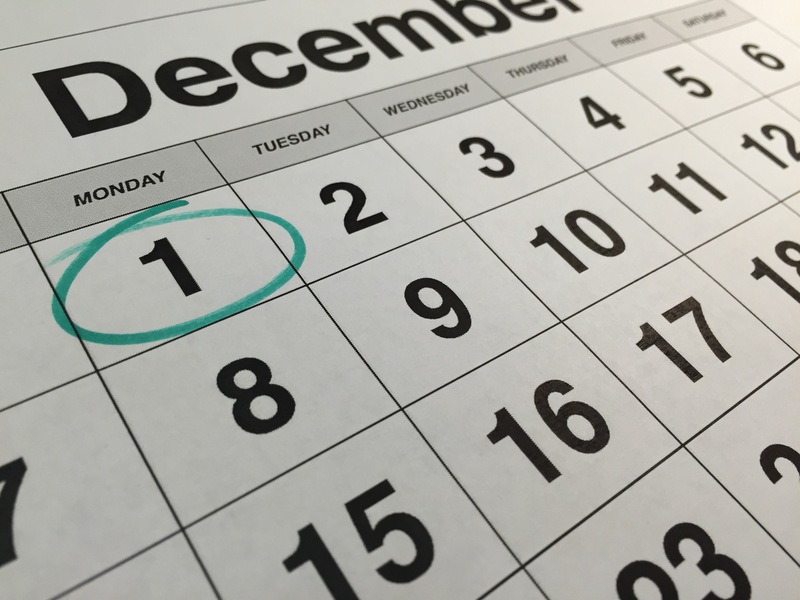 Looking at the calendar, I see that Day One of the next month is also the Day One of a whole new year. I wonder what we’ll feel like starting then?